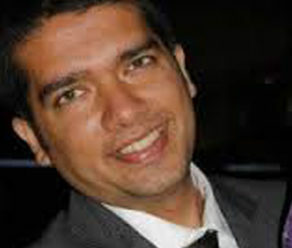 Shailen Mittal volunteers his time for communication, fundraising and project support for IAHV UK. Coming from a family of helping individuals, Shailen is deeply committed to the vision of a stress-free and violence-free society and inspired to help people overcome stressful situations. Being a problem solver by heart, he believes in the practical solution that peace starts from within and peaceful individuals create a safe, prosperous and successful society. Based out of London, Shailen currently heads the exports division for a global food company after a decade of entrepreneurial experience in the arena of international design and trade of fashion accessories. By academic qualifications, he is an ex-Dipsite, a Business Graduate from University of Delhi and holds a Masters in International Business from the renowned Indian Institute of Foreign Trade. Loving history and ancient civilisations, he has travelled varied corners of the world and is fluent in 5 languages.